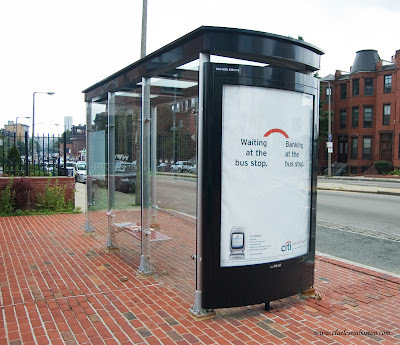 Bus shelter on Mass. Ave.
Another shelter with walls not reaching the ground nor the roof. Not good shelter in cold wintry weather. Bad design.